Our SSD Shared Hosting Plans are perfect for personal websites and small businesses. Install scripts like WordPress with 1-click! Perfect for personal websites, portfolios, and starting a blog. Perfect for small businesses and organizations. Perfect if you have more than one domain name to host. Perfect for those who want the most out of their shared hosting. Install These Applications In Just 1-Click! If you’re thinking about purchasing a hosting plan, knowing what you get is a must! We have featured 4 key Host Capitol Hosting Features! 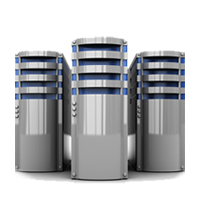 Each of our shared hosting plans listed above are powered by a lightning-fast Solid State Drive. We offer a Live Chat and a responsive 24/7/365 support desk. With Host Capitol, you won’t be waiting days for a response! After you make a purchase, your order will be executed and your account soon setup for you to quickly get started! Install many popular scripts such as WordPress and Magento in just 1-click. Need help? We’ll do it for you! Thank you for considering choosing Host Capitol as your hosting provider! We have the following offers you might be interested in! Valid for 1-year billing terms! There are many hosting providers out there, but none like Host Capitol. The World’s Leading Hosting Control Panel! Manage Web Pages, View Website Statistics, Create Email Accounts, and More. Intel Xeon E3-1230 v3 3.30GHz Quad Core Hyperthreaded Processor. 1 Gbps Port. 32 GB RAM. 256 GB SSD Storage Drive. 512 GB Backup Drive. With our robust infrastructure which includes redundant power, HVAC & Fire-Detection Systems, you can expect to get true 99.9%+ uptime. Unlimited Sub-Domains, Unlimited MySQL Databases, Unlimited FTP Accounts, Unlimited Forwarders & Auto Responders. Unlimited POP3 Email Accounts with SMTP. IMAP Support. Easy to use Webmail Interface. Free SSL Certificate Installation. Dedicated IPs available. osCommerce, CubeCart, Zen Cart, and more supported.